Rosie Breznyski grew up in London and started coxing after being cut from “ball sports” in her high school. “I had played volleyball and soccer in junior high but wasn’t coordinated enough to make the high school teams. I saw the crew bus and thought, ‘I’ll get on this bus and see where it goes.’” After rowing for a bit, Brezynski tripped and hurt her knee and was put in the coxswain’s seat. Says Brezynski, “I couldn’t row because of my knee and I had an English accent.” After her injury healed, she knew she wanted to stay in the coxswain’s cockpit. 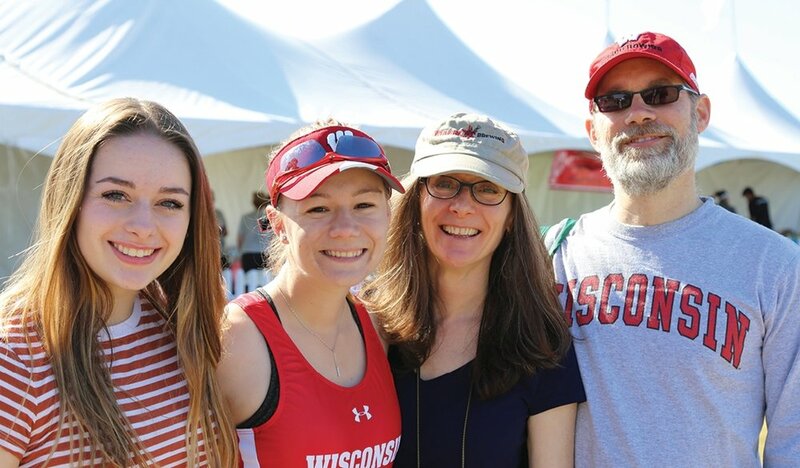 After being accepted to the University of Wisconsin, she started coxing the women’s team. “I knew I wanted to do crew in college. I couldn’t imagine my life without the crew community,” she says. I always had the tendency to be in charge. I like to be right. Coxing has taught me about roles in groups and how to work together efficiently. The challenge is using all of the experience of everyone on the team–figuring out how we can use all of the knowledge we have to make the boat go faster. I’m pretty aggressive. That’s probably from coxing Masters men. I love coxing that way and I brought it into my lightweight team at Wisco. In being aggressive, it’s doesn’t matter what you say so much as how you say it. Sometimes I’ll call a power ten in a different language. It lets us come together in a new way. German Power Tens can be especially powerful. I call the German ‘Ten as our power move. Usually we’ll talk about it before, embodying the mentality of power per stroke. I try to treat every practice like it’s race day. Every stroke is a stroke that will make us faster. "Don’t be afraid of feedback–even from all eight of your rowers–it will help you grow." Fake it until you make it. Even though I’ve struggled with confidence, ultimately, I’m in charge of the boat and can see things the rowers can’t. Own the fact that you have the power. The rowers need you to be able to go fast. And, you get to make mistakes. Don’t be afraid of feedback–even from all eight of your rowers–it will help you grow. Usually there is someone in the room who’s rowed. They’re impressed with the management skills that coxswains develop. And the non-rowers who are interviewing me are interested in how a 110-pound person takes charge of a boat. Sometimes I share a recording of a race. They always say, “This is you? !” Ultimately, they’re impressed with the breadth of experience coxing creates: boat management, teamwork, group roles, being in charge, timing–it’s all there. It’s what companies are looking for.